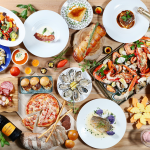 Hong Kong, 26 March 2018 – Indulge in an “Egg-citing” Easter at the three Marco Polo hotels in Hong Kong from 30 March to 2 April 2018. Enticing menus and fun-filled activities await guests at all three signature restaurants. Kids Eat Free: Children aged 3-8 years are entitled to a complimentary lunch or dinner buffet*, while children aged 9-11 years can enjoy a 50% discount* at Cafe Marco at Marco Polo Hongkong Hotel, Three on Canton at Gateway Hotel or add@Prince at Prince Hotel. 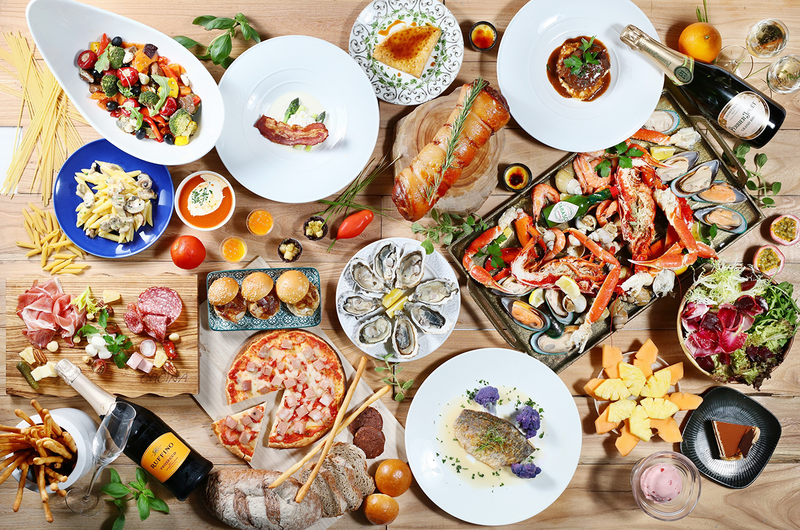 Create joyful memories with your family this Easter at Cucina with a classic Italian brunch accompanied by iconic views of Victoria Harbour and the Hong Kong skyline. 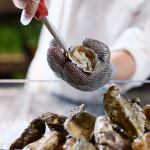 Savour an array of authentic antipasti including Italian charcuterie, fine cheeses and salads, plus unlimited chilled ocean-fresh crustaceans, including Lobsters, Crab Legs, Whelks, Mussels, Prawns and freshly shucked seasonal Oysters. 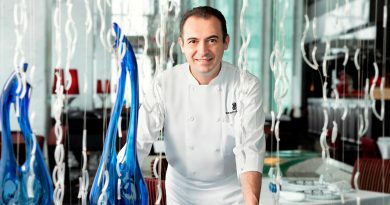 In addition, Cucina has introduced live-action stations serving up Mini Burgers with Seared Duck Liverand Grilled Italian Suckling Pig among other a la minute bespoke delights. Diners can select their favourite mains from Porcini Mushroom Flan with Parmesan Cheese Fondue and Black Truffle, Baked Chilean Seabass with Lobster Sauce and Smoked Herring Caviar, Traditional Easter Tortellini filled with Parma Ham and Double Chicken Consomme orTraditional Easter Roasted Lamb Leg with Rosemary, Garlic and Herbs. Save room for delicious desserts, such as freshly-made Crêpes Suzette, Classic Tiramisu, Blueberry Cheesecake, Panna Cotta and Mövenpick ice cream. Enjoy a bottle of Paiara Bianco or Col del Sasso, Banfi at an additional HK$200 or an Easter Cocktail or Choco Mocktail at HK$50 per glass. 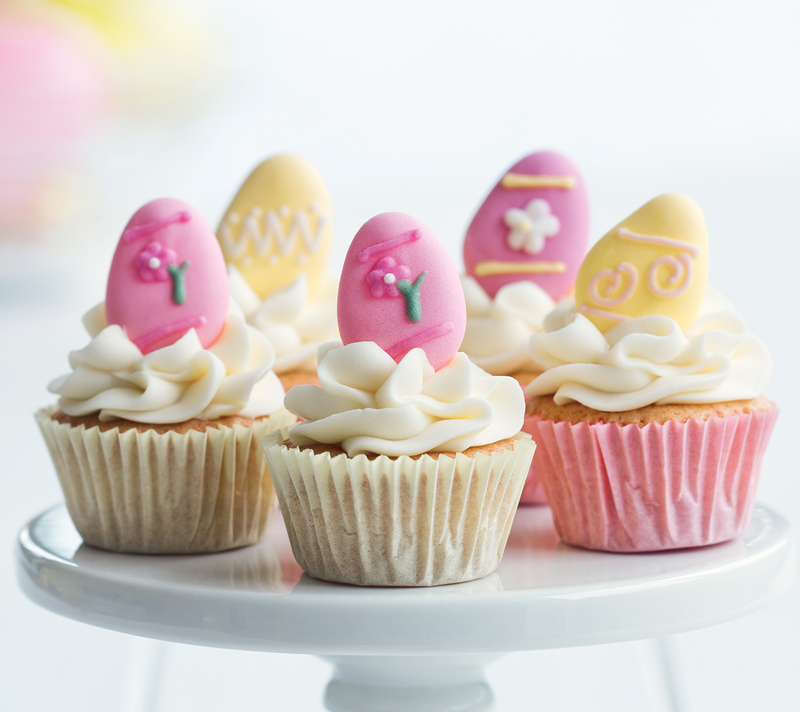 For extra fun, the Easter bunny will visit Cucina during the lunchtime celebrations. Celebrate Easter in gourmet style at Cafe Marco with special festive dishes served during the lunch and dinner buffets from 30 March to 2 April 2018. In addition to an extravagant array of chilled seafood and sashimi, indulge in Cafe Marco’s Brazilian Churrasco Feast Dinner Buffet and experience mouthwatering premium meats, including U.S Rib Eye, Short Ribs, Lamb Leg and Rack, Pork Rack Frenched, Sausages and Chicken Wings. The succulent meats, grilled on large skewers and carved directly onto your plate, are accompanied by a selection of Mezze. On Saturdays and Sundays, a premium Prime Rib will also be served on the buffet table. Each dining guest will be offered a complimentary Pan-seared Tiger Prawn and a complimentary free-flow of soft drinks and selected beers during the Dinner Buffet. 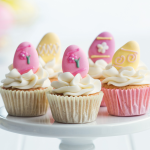 Lunch and dinner buffet patrons can also join in the fun of our Easter Desserts D.I.Y. Workshop for free# during the above period. Celebrate a memorable Easter with us! * Kids Eat Free offer is applicable to a minimum of two paying adult guests; Maximum two children can enjoy the offer per table. Offer cannot be used in conjunction with other promotional offers. Other terms and conditions apply. Please call for more details. Treat your family and friends to a fun-filled buffet celebration during Easter between 30 March and 2 April. Three on Canton’s talented chefs have prepared a Cowboy Steaks and Grill Dinner Buffet. 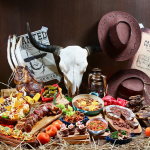 The hearty Wild West extravaganza features an array of cowboy favourites, ranging from juicy, tender beef to pasta and bean chilli. 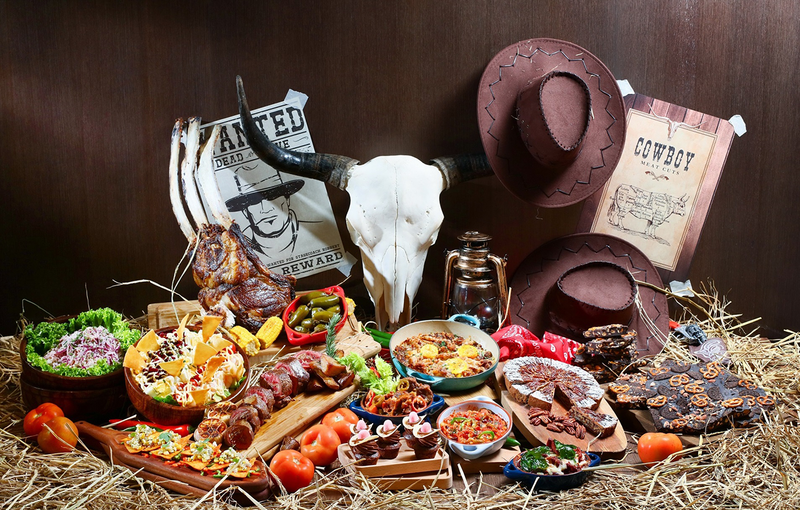 Tasty appetisers to kick-off the feast include Cobb Salad, Cowboy Steak Salad with Ranch Dressing, Cowboy Couscous Salad, Cowboy Caviar and more. Delight your beef cravings with a lavish selection of savoury hot mains, including Black Angus Tomahawk, Black Angus Prime Rib, Roasted Striploin and Flat Grilled Wagyu Beef, which will be served on rotation. Roasted Pork Loin Stuffed with Jalapeno Pepper and Cheese, Cowboy Chili and Beans, Cowboy Lasagna, Flank Steak Roll with Prosciutto and Mushroom and Braised Beef Brisket with Mushroom will be available nightly. 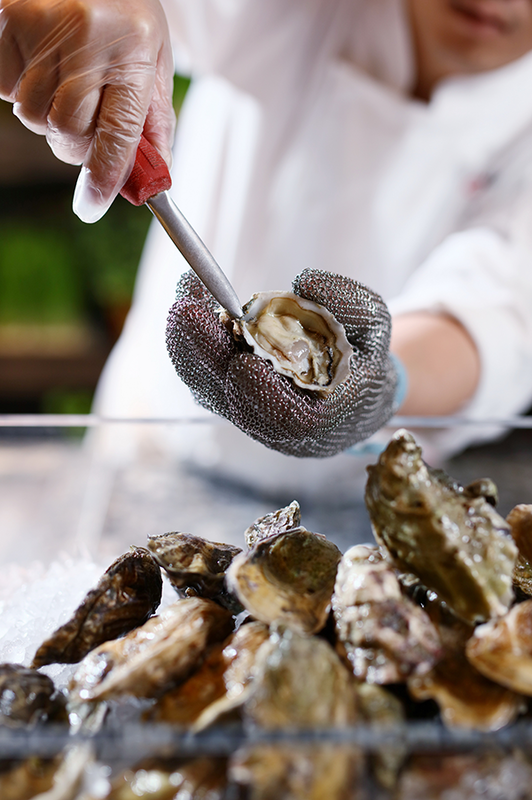 In addition to the cowboy highlights, diners can also savour Three on Canton’s classic buffet favourites, such as Chilled Lobsters, Shrimps, Crab legs, Mussels, Japanese Sashimi, Sushi and Soba, ‘live cooking’ noodles, Indian curries, and regional Chinese dishes. Themed desserts include Cowboy Cupcakes and Chocolate Crackers with Oreo and Pretzels, plus all-time classic Mövenpick ice-cream. Buffet patrons can also decorate their own desserts at the Easter D.I.Y. dessert counter. During the Afternoon Tea Buffet, children can have fun with our clown who will be twisting balloons for them to take home. Make this Easter a memorable family occasion at Three on Canton! Join us for joyful celebrations at add@Prince during Easter. Indulge dessert cravings with a variety of healthy treats at the Afternoon Tea Buffet, during which patrons can also participate in the Easter D.I.Y. Workshop for free#. Balloon twisting during the Lunch Buffet, plus a kids’ candy counter will delight little ones. During evenings, take off on a culinary adventure to Japan with a festival of authentic Japanese flavours and ocean-fresh seafood delicacies during the Dinner Buffet. Be sure to catch the giant whole tuna live-slicing show every Friday night. Situated in the heart of Tsim Sha Tsui in Kowloon, the three Marco Polo hotels in Hong Kong, namely Marco Polo Hongkong Hotel, Gateway Hotel and Prince Hotel, form part of Harbour City – Hong Kong’s largest shopping complex with more than 450 shops featuring the world’s leading luxury brands. The three hotels comprise 1,459 well-appointed and spacious guestrooms and suites, all equipped with complimentary handy smartphone and Wi-Fi plus deluxe amenities. Every Marco Polo hotel befits the new-age traveller, whether on business or leisure, with its elegant design, impeccable service and modern comforts. 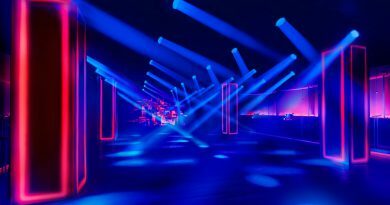 The three Marco Polo hotels in Hong Kong are part of Wharf Hotels, awholly-owned subsidiary of The Wharf (Holdings) Ltd, a Hong Kong-listed company with core business interests in property and investments in communications and container-terminal operations.